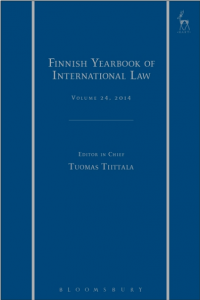 From Volume 19 onwards, the Yearbook is published and distributed by Hart Publishing. Copies of Volumes 7 (1996) through 18 (2007) can be obtained from Brill Academic Publishers. Copies of Volumes 1 (1990) through 6 (1995) can be obtained from Schmidt Periodicals. Back volumes are also accessible on HeinOnline.